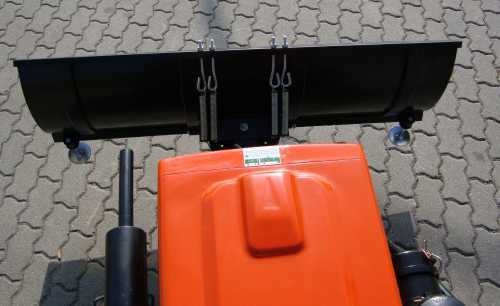 The mounting frame is steplessly shiftable and thus can be retrofitted to any tractor frame - whether Iseki, Kubota, Yanmar, Mitsubishi, etc. 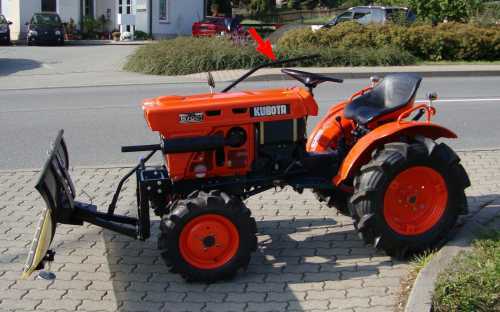 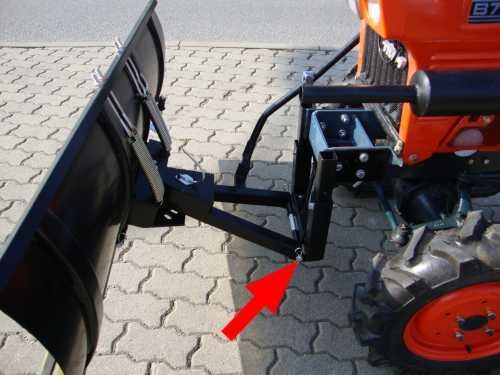 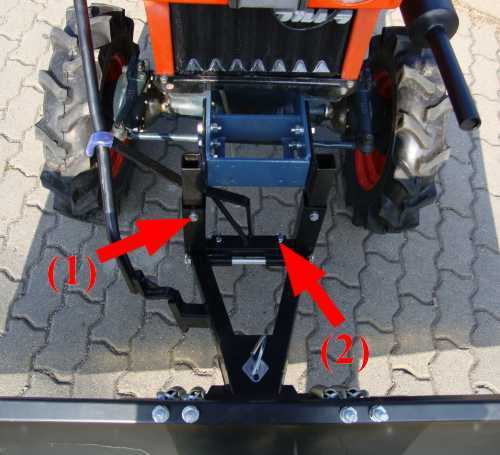 Thus, the mounting frame can be used for all types of tractors. 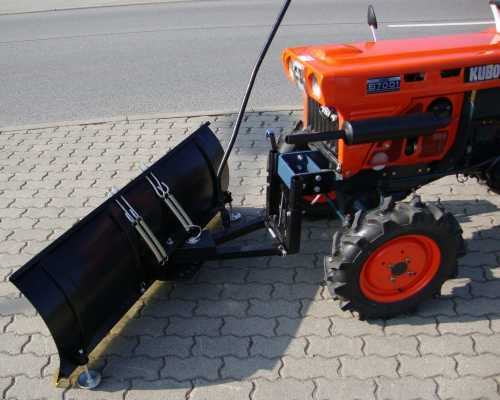 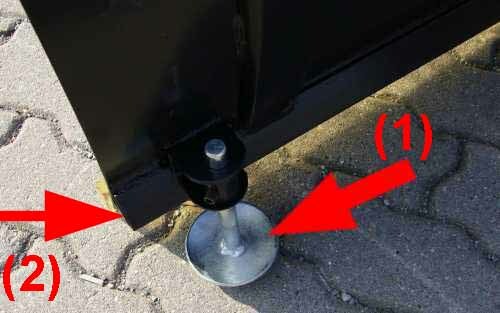 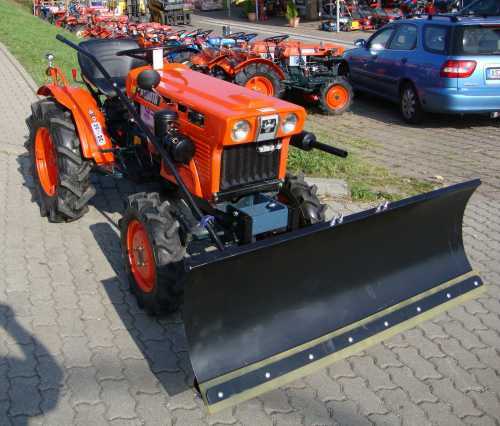 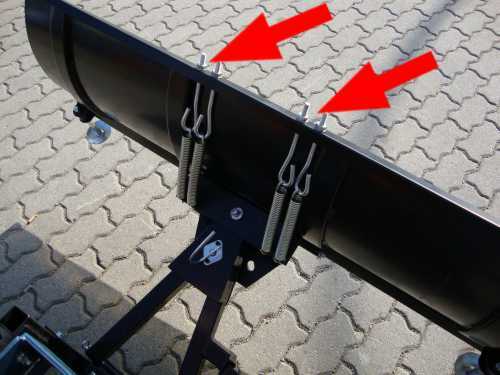 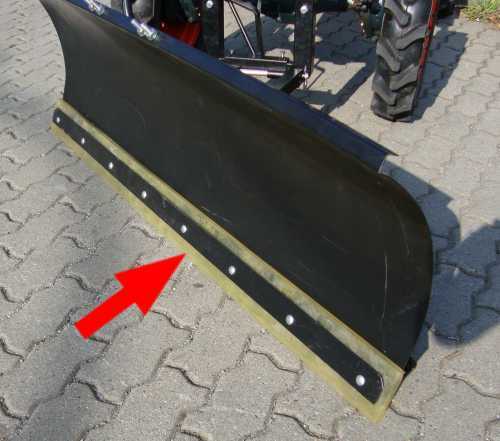 It is possible to attach a snow plow with a working width of 1.18 m for 550, - Euros. 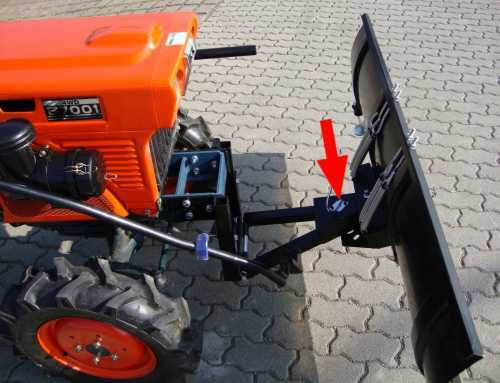 Similarly, a sweeper FKM110 can be installed in the same adapter frame. 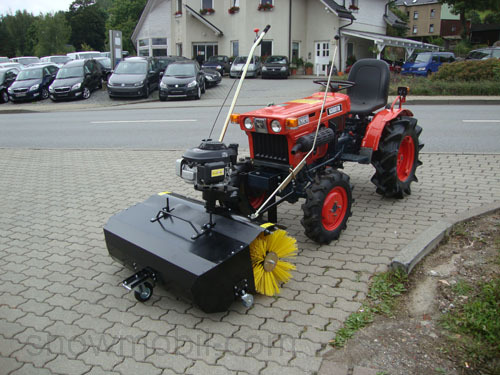 This sweeper is suitable for snow and dirt sweeping!